From flowers to decorations and everything in between, the vibrancy of summer can make your wedding beautiful! Carrying a bright bouquet as you walk down the aisle makes for a stunning ceremony, and colorful bouquets at each table create the perfect summer wedding reception decorations! Dancing under the moonlight is much better with a live band, especially after the sun goes down on a summer evening! Live music keeps the crowd having fun and gives you a chance to get another dance in with your special someone. Summer weddings are gorgeous, but an outdoor ceremony makes it even better. 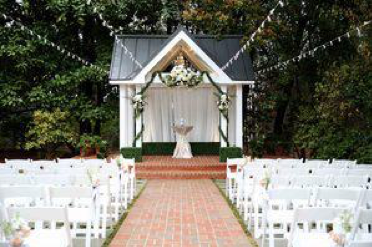 With the luscious greenery at our wedding venue in Norcross, GA, an outdoor ceremony is sure to make your wedding day special. Everyone loves a summer wedding, but we all know it can get a little hot. An ice cream cart is the perfect solution for a summertime dessert and a chance to cool off! 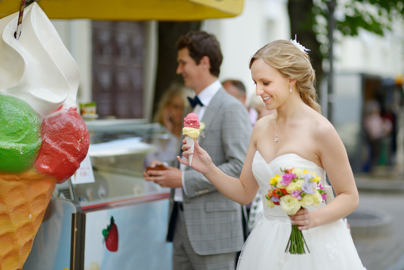 Ice cream is sure to be a memorable part of any wedding! 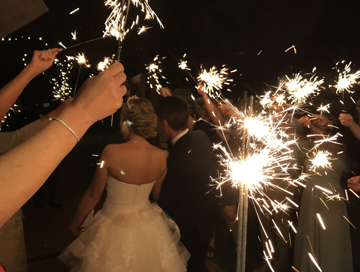 What better way to celebrate your big day than with sparklers or fireworks? As you are leaving the venue to head off to your honeymoon, each guest can light a sparkler and make lasting memories! Fireworks are also a great way to kick off your yes to forever!